Do You Need Dropified Straight Away? How Will Dropified Improve Your Dropshipping Business? What Are The Dropified Price Plans? I think you’ll agree that the day to day running of a dropshipping business can be time-consuming and tedious. Adding new products from AliExpress, fulfilling new orders, monitoring tracking statuses, it all drains your precious time. If you use an automated dropshipping app you could eliminate all that and free up an average of 20 hours per week of your time. Not to mention saving you the cost of hiring a VA. In this Dropified review I’m going to show how you can do that. You’ll see all the best features that’ll save you TIME and MONEY when using Dropified App. NOTE: If you prefer video then check out the tutorial of all the best Dropified features at the bottom of the page. So without further ado, let's get into the good stuff. Truth is, it depends if you have the budget and if you want to save valuable time right off the bat. If you do have the budget and do want to save time, then yes. It will help you import products quickly and get you using the auto order and auto tracking feature straight away. You can get away with doing it yourself manually till you start making sales. Then you can invest in it. Like LAUNCHING ADS and MAKING MONEY! Pro tip: If you sign up to the Admitad affiliate program then that would cover the cost of Dropified anyway as I’ll show you shortly. There are dozens of great features so I'll try to show the best ones here. To be honest you only need to use 3 or 4 of the features to make this totally worth it for you. So let’s get onto the good stuff. The like I said there are tons of features to help make running your dropshipping business a lot easier. And I'm going to show you just a handful of them in this article. Because it would take me too long to list everyone in detail here. More options are below as you scroll down. One of the key features is the Dropified chrome extension. That's what you'll use to import products from AliExpress and other suppliers. You can 1-Click Import Products to your Shopify, Commerce HQ or WooCommerce store. You directly import from sites AliExpress, AliBaba, eBay, Walmart, Costco, Wish, Etsy, SammyDress and many others. I shouldn't really just say and many others. What Websites does Dropified Import Products From? As you can see there's a lot of places and suppliers to import products from. The truth is most people will just use AliExpress but the options always there if you want. Save hours by importing products directly from AliExpress. 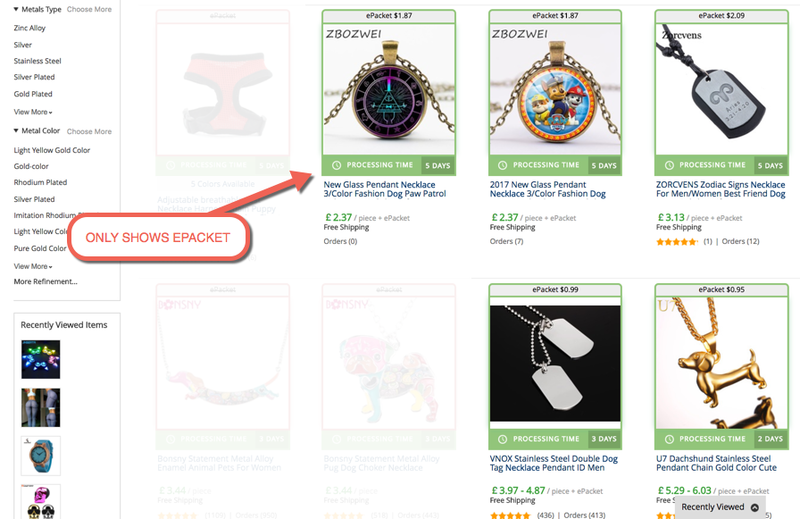 You can add the product images and descriptions straight to your store. This also saves you having to manually save each image individually and then adding it to the corresponding variant on your site. I LOVE love using this feature and I’m sure you will. Check this video to see me using this feature in action. Please Note: In this video, I show how to import products to CommerceHQ. Check out this post CHQ vs Shopify if you want to know the difference. Whatever platform you use it's the same process. This will help you quickly remove logos and make edits to your image. Whether you're are using Dropified's One Click Import or manually importing products yourself. Some images will need editing. This can be done on Dropified's Platform. So no need to use tricky Photoshop software. And no need to pay for any other third party software! Here's a quick video showing it in action. So often I used to spend too much time trying to remove a background or remove a logo a vendor had put over the product image. Thankfully I can do it really easily in just a matter of minutes or even seconds. Now you don’t need to manually type one for each product. This is great to just add things that you use in most descriptions. Like the guarantee or CTA for example. You can create a template just how you want and it will dynamically add elements that you choose. Like price, compare price, product title and more. You can also create multiple templates that you can use for different types of products or offers. This one is for the pros. By adding product bundles you can increase your average order value (AOV) which will mean more profit for your business. If you don't know what product bundles are, then to simply put it, they are a few products listed as one item (the bundle). A boxing starter kit, this could include gloves, pads, wraps and speed ball. This will increase the probability of your customer buying all the items as they're are in one package. Plus when you fulfil the order through Dropified it will still know to order all the different variants on AliExpress. It will order ALL of the items from the bundle in 15 seconds which is a massive time saver! If you’re not using product bundles then it’s time to start working out how you can add some to your store. Here’s a video showing how to set that up. At first, it's fun fulfilling your first orders but trust me it becomes a real time drain. Once you start getting 10+ orders a day which isn't hard then you'll be thanking the dropshipping gods for this Dropified feature. It also saves you from accidentally making mistakes with customers addresses and not choosing ePacket. They are both mistakes I routinely made due to tiredness and rushing to get this done each day. Avoiding those mistakes will save you time and money. Here’s a video of this auto order feature in action. Dropified gets your tracking numbers and notifies your customer when their order has been shipped. You need to add it to the backend of your store then click send a shipping notification to your customer. This is just another time drain that you'll be thankful you can avoid. Dropified does all this for you so you can then focus on the money-making parts of your business. This will help you can find ePacket products with no effort. When you're looking through AliExpress you can easily find ePacket suppliers you'll use. The ones who use ePacket. No need to waste any time looking at vendors who don't ship with this method. You can also see the product price with ePacket as well, meaning you'll quickly know how much it will cost total to buy and ship to your customer. It’s good to see those details at a glance. Ever wanted a list of US based dropship vendors? Get products to your customers faster with access to a list of over 10,000 products that ship from the US. Now you can quickly see if the product you want to sell has vendors who ship from the United States. Perfect if you want to cut your shipping speed in half. A quicker shipping speed will give you a conversion boost and an edge over your competitors. Like I said before this is not all the features. So please check the video at the bottom of the page. Well, they've kept it simple. There are 2 Dropified price plans. The Builder Plan And The Premier Plan. The builder plan is $47 per month and the Premier Plan is $127 a month. You can reduce this to $39 per month or $97 per month if you get the annual plan. You'll be absolutely fine with the builder plan unless you're doing well and need to open multiple stores. It's advised to stick with one till you get that of the ground before you move onto the next store. I've got a nice way to get you some FREE MONEY you wouldn't have got unless you used Dropified. Most people don’t know about this but if you do what I’m about to show you then you’ll be able to cover the cost of getting Dropified and more when you start making sales. If you sign up to Admitad then you can get up to 8% cashback on all AliExpress orders you process through Dropified. If you only fulfilled $600 worth of AliExpress orders through Dropified then you could cover the cost. One person I showed this to, gets up to $700 a month in cashback! So this is definitely worth doing. And just so you know, this is 100% legit! Make sure you’re signed up to Dropified. If not then sign up here. Sign up to Admitad as a publisher and then sign up for the AliExpress affiliate program. Add your Admitad affiliate deep link to Dropified. Fulfill your orders using Dropified. This is essential but you’ll be using the 1 click auto order anyway so you’ll already be doing that. Let those commissions stack up! Here’s a video showing you what to do. Click here to sign up to Admitad’s affiliate program. So there you have it, my Dropified review. Get the Dropified with the link below. P.S If you're just skipping to the bottom of the page to see the postscript then here's a quick summary of my Dropified review. 1. Dropified will save you loads of time so you can work on the things that make you money.